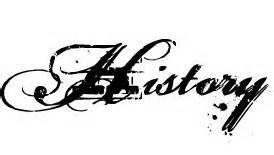 This past school year we did not do a good job making sure history was covered. I aim to do a much better job this upcoming year! Bee’s history will mostly be reading with me. We’ll read a few Usborne books like Houses and Homes and Living Long Ago. Then we’ll throw in some books for Thanksgiving and other holidays and call it good for history! Elemental History – I’m going to try Elemental History for Tiger this year. I really want an overview of US history before plunging into world history. This looks like a broad overview that we can supplement with great books. I’ll have him start practicing narration and we’ll use the notebook pages. I have a feeling that Curly will sit in on our reading times. Story of the World Year 2 – I think this will be our spine this year. We’ll work through the book, reading a couple chapters each week. I also have the activity book so we’ll have discussions and do some of the projects. We might also have to get the famous figures for Curly to put together. Tapestry of Grace Year 2 – I’ll supplement our Story of the World readings with lots of books from Tapestry of Grace. I just love their book choices! And I’ll get to enjoy reading through the teacher’s notes for myself. Tiger and Bee will tag along during our read aloud time. They loves the history picture books! Now I’ve just got to start ordering my stacks and stacks of books to supplement our history! Do you just use TOG's booklists or do you use other ideas from them? I tried to use TOG this year and overwhelmed myself in the first week. Right now because things are so crazy with the baby and toddler, I plan to just use their books as ideas. If I ever get things more under control here then I'll add in more things like some of the vocabulary and more of the projects. But I was trying to simplify things this year since it is so hard to get things done.